Magic Max is returning with a fun filled new show which will bring surprise and laughter to all! Pirate Pax is the new magic man in town! He is a Pirate with a magical touch and a show that will leave everyone smiling! 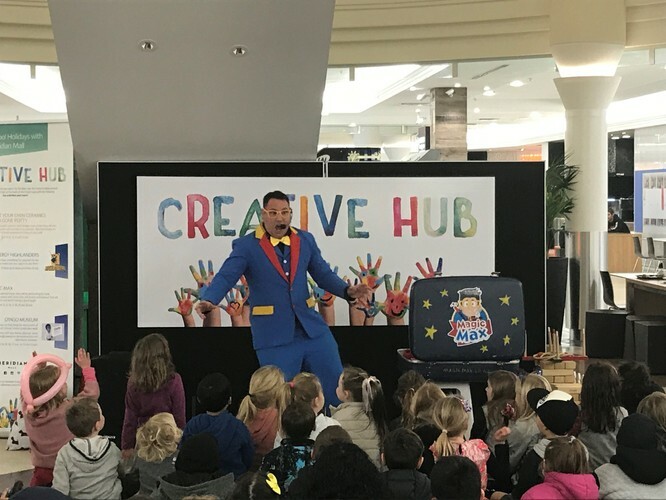 These are great shows for the whole family to enjoy, they will take place in the Creative Hub at the far end of the Meridian Mall Food Court. There is plenty of space and coffee nearby!